I don’t know why, but I’ve always been fascinated by the myth of fairies that kidnap human children and leave one of their own in their place. Even though in “The Circle” the myth is used somewhat differently, I was just as enthusiastic about the story and I couldn’t wait to learn what actually happened to the children who had been taken away from their families. There were many things I loved about this book. 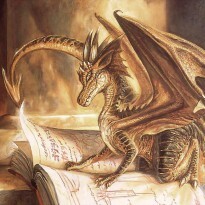 First of all, I really liked the characters and the peaceful family atmosphere the author created. Calum and Hagen have always felt guilty about their cousin’s disappearance. Laurel, their best friend, lost her brother almost seven years ago, but she is sure that he is still alive. When she finds out that Calum and Hagen are actually Sidhe, she knows that her brother must have been kidnapped by one of their kind and they are the only ones who can help her get him back. These children are amazing together. They are bound by a strong friendship, trust, and the desire to save their loved ones. I have to admit that my favorite was Hagen, not Calum, who is the main character. I thought Hagen and his father, Donnelly, were the most complex and interesting characters, maybe because, unlike the other Sidhe, they also had something dark in their blood, given the fact that they belonged to the Hobayeth, the darkest of the Sidhe clans. The family atmosphere is one of the things that make you wish you lived in Cindy Cipriano’s fantasy world. I think any child would love to spend a peaceful evening with the Ransons, drinking Kenzie’s special tea, listening to Gus’ jokes, and talking with Calum, Hagen and Laurel about magic, fairy verses and the Otherworld. My only complaint is that sometimes the action is a bit rushed. When Calum and Laurel reach the Fairy Stone mound, they find Laurel’s brother and Calum’s cousin too easily. I was expecting for this part to have more adventure and difficult situations the children had so find solutions to. 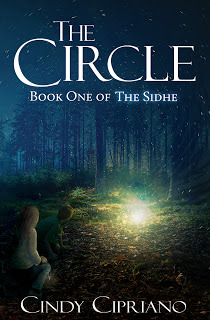 But, other than that, “The Circle” was a very enjoyable read, and after reading the first chapter in the second book of “The Sidhe” series, “The Lost”, I must say I can hardly wait for the children’s next adventures.